Full name, date of birth: Aubekerov Nariman Aubekerovich, December 29, 1938 of birth. Work experience: total length of service – 58 years, scientific and pedagogical experience is 54 years. Position: Professor of the Department “Transport Engineering and Logistics Systems”. 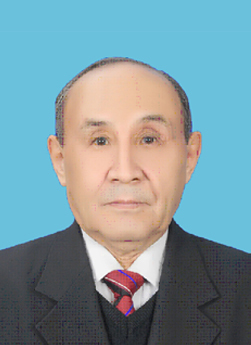 1960 – 1964 Lecturer, Department of Tractors and Automobiles of the Kazakh State Agricultural Institute. 1964 – 1967 – full-time postgraduate study of the Moscow Automobile and Highway Institute at the Department of Automobiles. From 1967 to 1993 worked as an assistant, senior lecturer, associate professor, head of the department “Automobile Transport” at KSTU. 1993-2002 – Professor, Head of the Department of “Automobile Transport” of the Almaty Road Institute (since 1996, KazATK) . From 2002 to the present – Professor of the Department of TTLS.